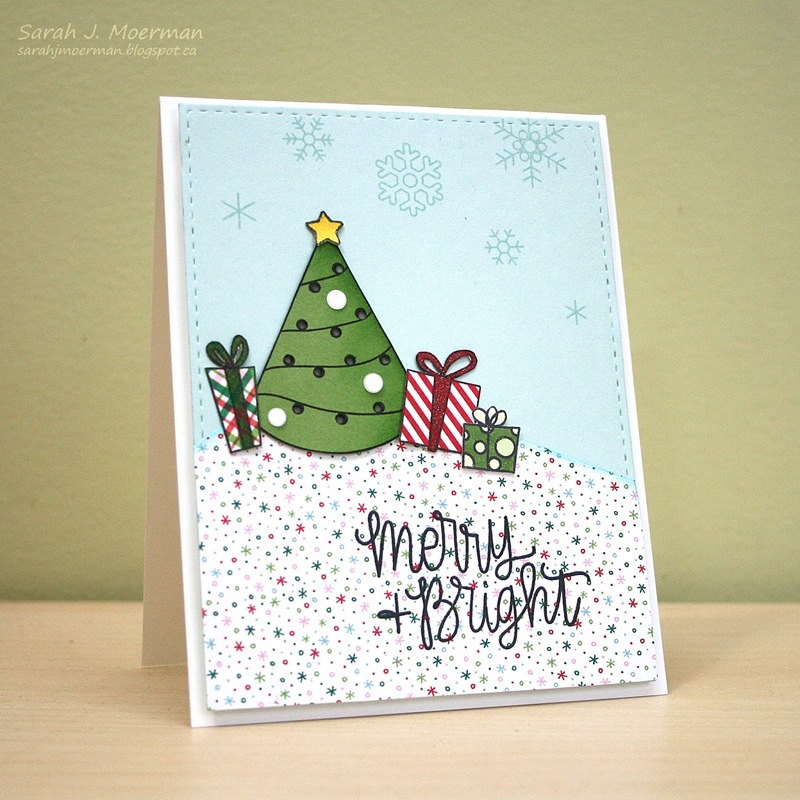 Simon Says Stamp December Card Kit Winner! I'm stopping by quickly to announce the winner of the sold out Simon Says Stamp December Card Kit. 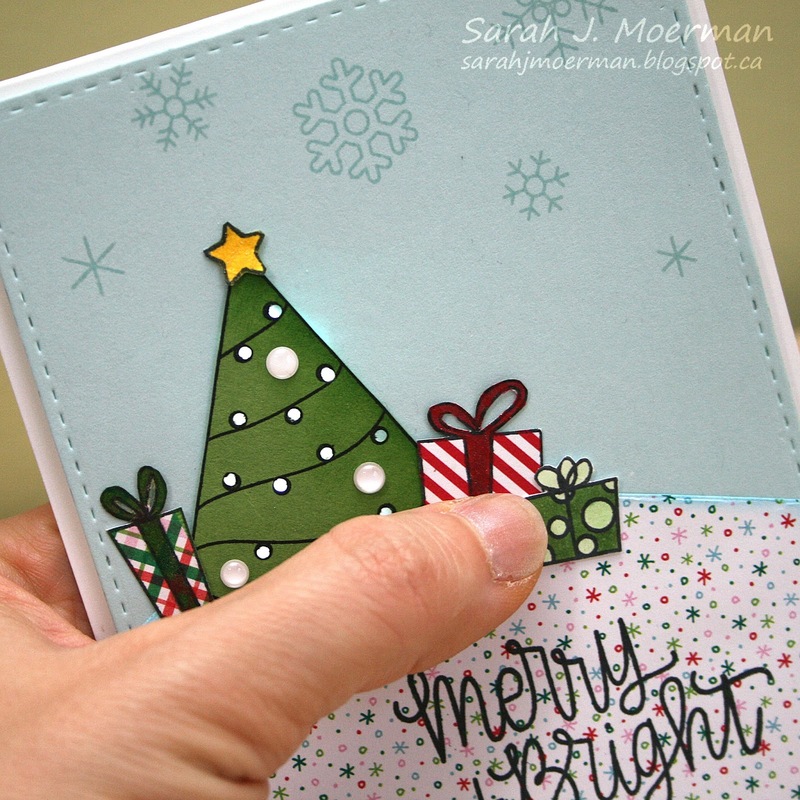 Wow what an adorable idea, Sarah! I don't know if I'd have the energy for an activity every day though, lol! Congrats Sandy! Please message me via the *contact me* button on my side bar with your mailing info so I can pass it on to Simon. 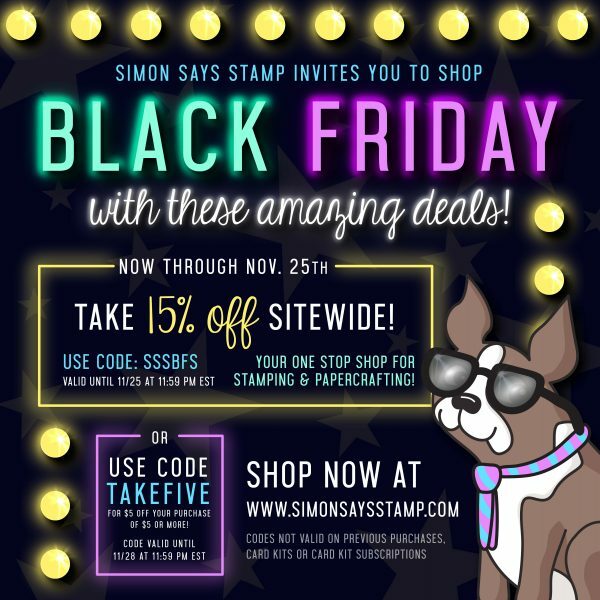 The savings continue at SimonSaysStamp.com! 15% off STOREWIDE with code SSSBFS! Today only! Also, My Favorite Things has 30% off storewide with code THANKS until the 28th! Finally, Knit Picks is offering 20% off storewide with code SAVE20% until the 28th as well. Special thanks to those who've been using my affiliate links. I really appreciate it so much. 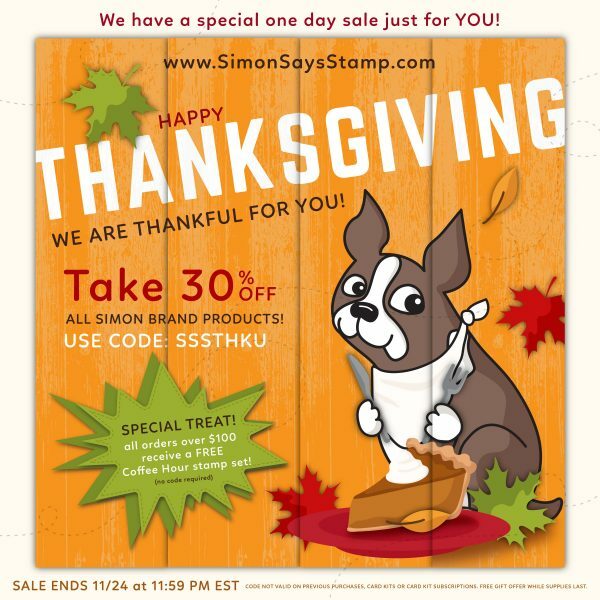 30% Off Simon Says Stamp Brand Products! If you've been eyeing some SimonSaysStamp.com brand goodies now is the time to shop! 30% off ALL Simon brand products when you use the code SSSTHKU. 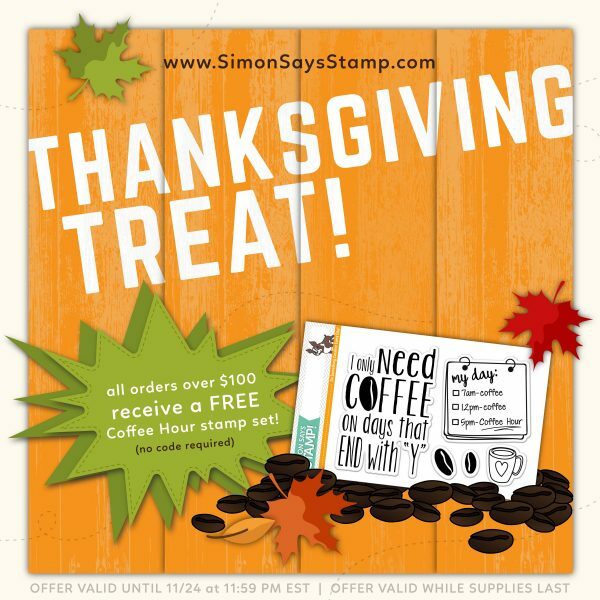 Spend $100+ and receive this sweet Coffee Hour stamp set for free. I'm back to share a final project featuring the Simon Says Stamp December 2016 Card Kit: Merry and Bright. The Simon Says Stamp December 2016 Card Kit has been extremely popular and has sold out. Individual components are still available. If you'd like to be sure to receive all future card kits for only $24.95 + shipping per month, you can SUBSCRIBE HERE. 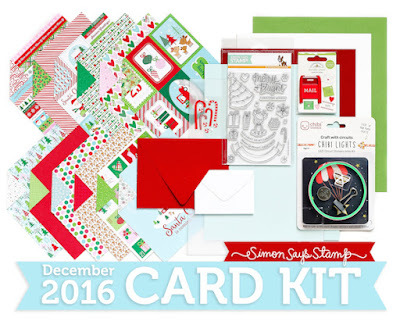 Heidi, owner of Simon Says Stamp, has given me an extra December 2016 Card Kit to pass on to one of you! 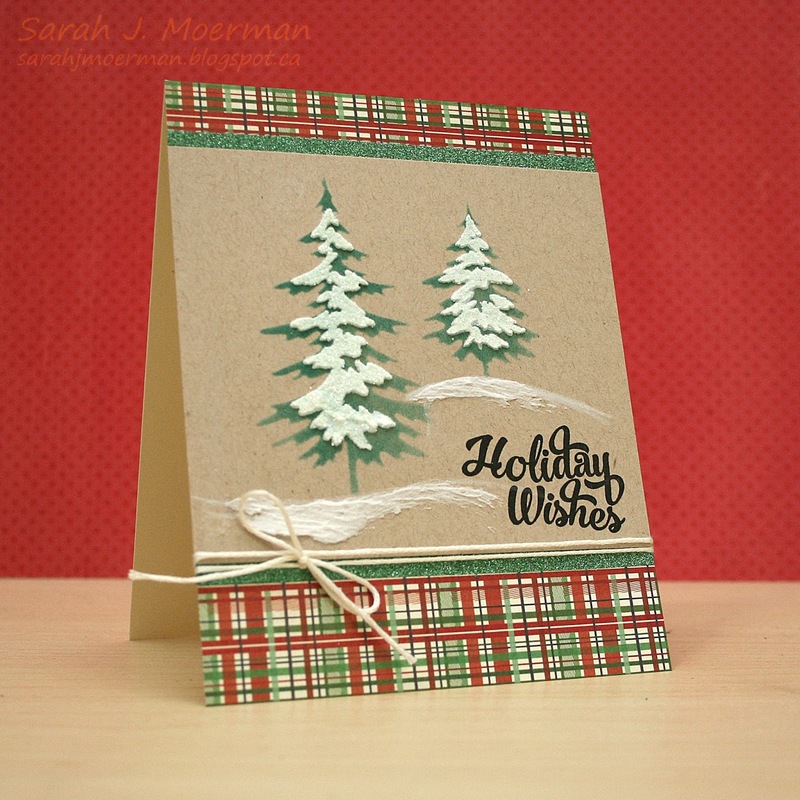 Just leave a comment on any or all of my December Card Kit posts and I'll announce a winner Wednesday November 30th. 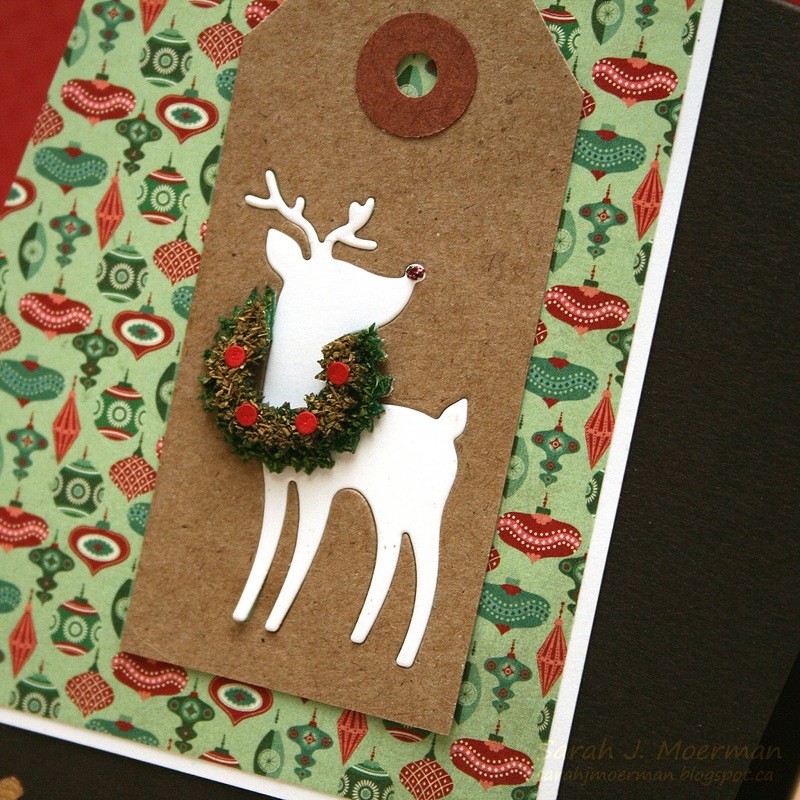 Today is release day for the beautiful Simon Says Stamp Limited Edition Holiday Card Kit. Here are the individual components in case you'd like a closer look. 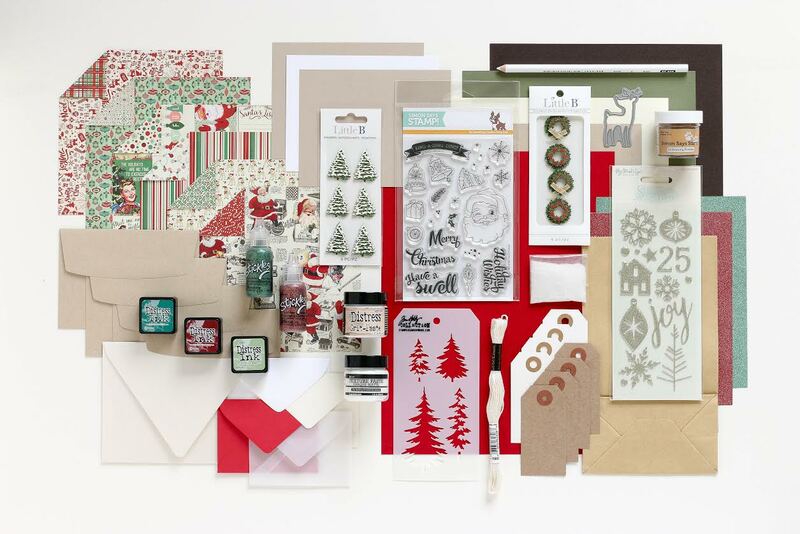 Not pictured in the supplies below are: cream embroidery floss, 2 metallic taupe A2 card fronts, 1 white A2 card front, 4 kraft envelopes, and a kraft paper bag. This kit is loaded with Christmasy goodness! I've made three cards so far and have hardly made a dent in the kit! For this first card I used the Pine Needles Mini Distress Ink with the Tim Holtz Woodland Layering Stencil to create my trees. 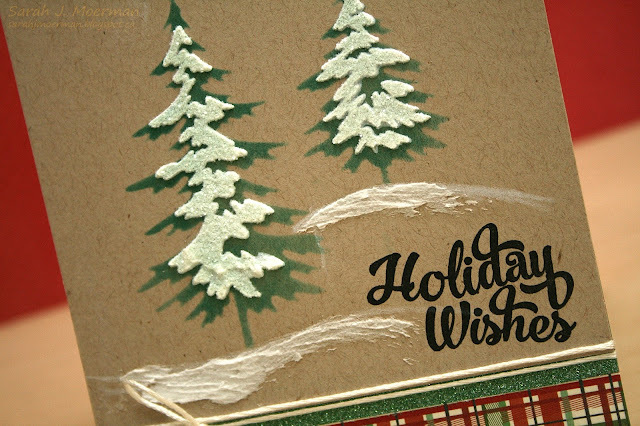 I then used the top layers of the stencils with Distress Grit Paste to create the snow and sprinkled some of the Clear Rock Candy Distress Glitter on top while it was still wet. I added some of the Opaque Matte Texture Paste under the trees with my finger for a snowy horizon. 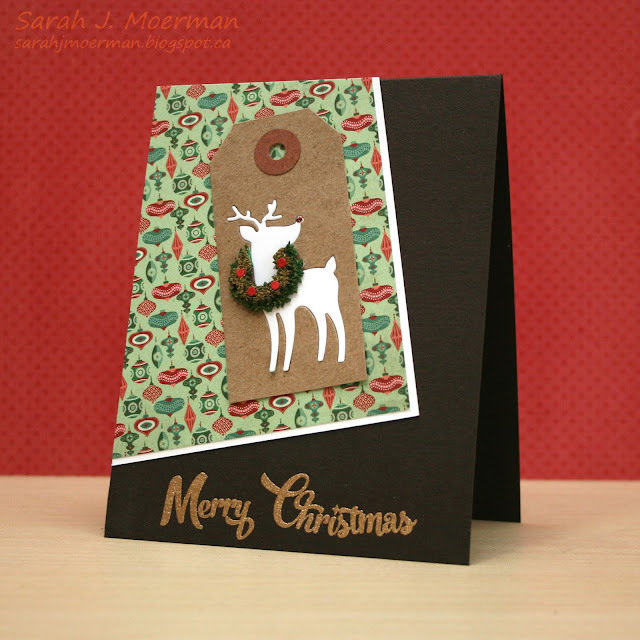 For the second card I die cut Simon's Retro Deer Die from both the white cardstock piece and one their Kraft Mini Tags and inlayed the white piece into the tag. I cut one the Little B Boxwood Wreaths Mini Stickers so I could make it look like it's hanging around the deer's neck and used some of the Joyful Stickles to give him a red nose. The sentiment was heat embossed with some of the Antique Gold Ultrafine Embossing Powder. Finally, I created the background of this card from a piece of Tim Holtz Idea-ology Holiday Deco Sheets. 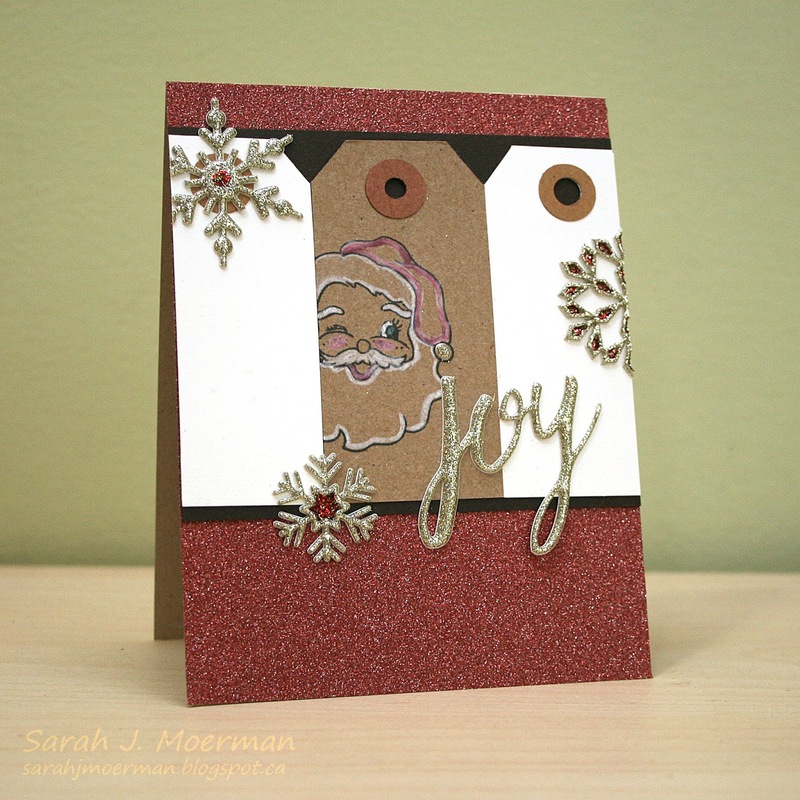 I stamped the jolly Santa from Simon's Swell Christmas Stamps on one of the Kraft Mini Tags and outlined him with the Prismacolor White Colored Pencil. I tapped the white pencil crayon onto the Aged Mahogany Mini Distress Ink and coloured his hat, cheeks, and lips. His eyed were coloured in the same way using the Pine Needles Mini Distress Ink. 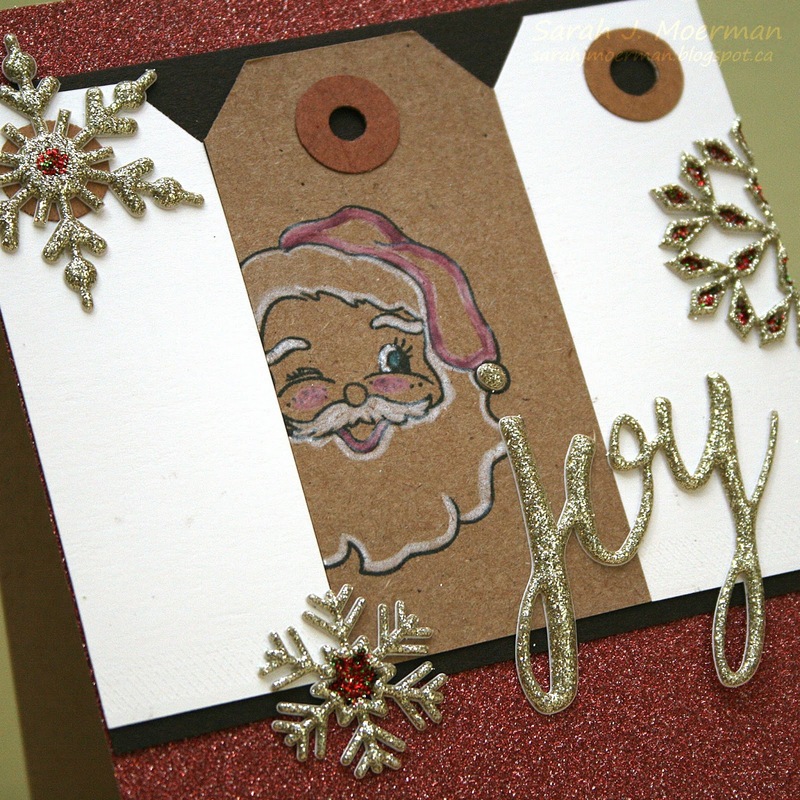 The glittery stickers are from My Mind's Eye Sugar Plum collection and I embellished them with Joyful Stickles.